Chipboard Die cut pieces. Quantity ordered is number sheets, not number of tokens. These come fully punched out and bagged. 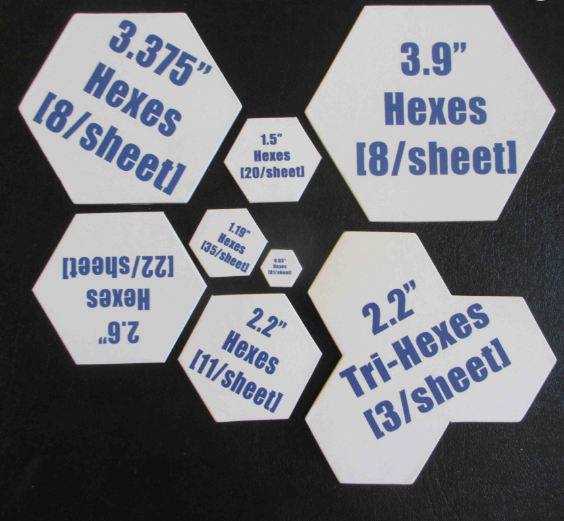 You get 4 Hexes per sheet ordered. 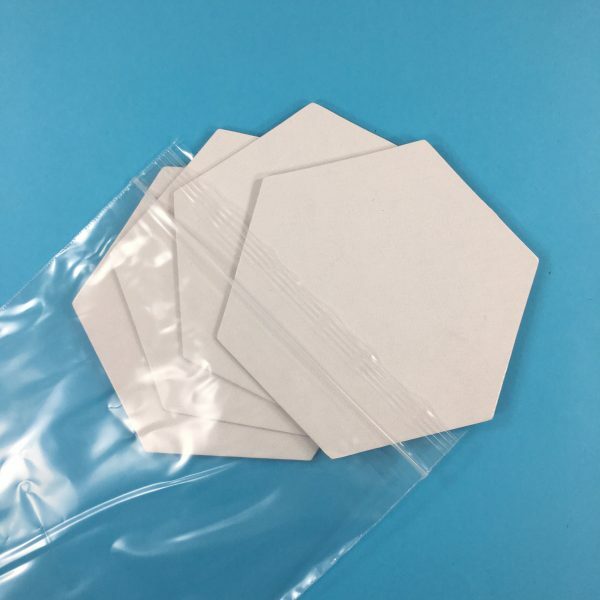 Listed size is from flat side to flat side of each hex.